Have A Legal Concern And Not Sure What To Do? Have legal concerns and unsure what to do? You are not alone. 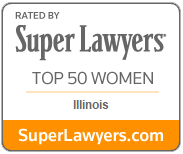 Each year in Illinois, thousands of families seek answers to legal questions regarding divorce, separation, custody, support, estate planning and elder law. If you are one of those families, then do not hesitate to contact the Barrington Illinois Family Law and Estate Planning Attorneys at Bush & Heise. We are an experienced, dedicated and trusted law firm in Barrington, Illinois, serving clients in the surrounding communities of Cook, Lake and McHenry Counties. Please complete the Case Evaluation form below and click “Submit” to send it to us. After we receive and review this form, we will contact you to set up an initial consultation either in person or via telephone. If you do not hear from us within 1 business day after submitting this form, please call our office at (847) 382-4560.